Below you can view all the homes for sale in the Royal Oaks Estates subdivision located in Suwanee Georgia. 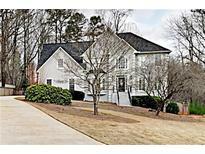 Listings in Royal Oaks Estates are updated daily from data we receive from the Atlanta multiple listing service. To learn more about any of these homes or to receive custom notifications when a new property is listed for sale in Royal Oaks Estates, give us a call at 404-998-4113. Swim And Tennis Community. Come View This Home Today! MLS#6521225. Offerpad Brokerage, Llc.. Enjoy This Summer Listening To The Birds Sing Overlooking Your Very Private Backyard. Schedule Your Private Tour Today! MLS#6519267. Keller Williams Realty Atl Part. The New Deck Is Ideal For Entertaining Or Enjoying Your Large, Fenced In Backyard. Don’T Miss This Home! MLS#6517031. Virtual Properties Realty.Com. The New Deck Is Ideal For Entertaining Or Enjoying Your Large, Fenced In Backyard. Don’T Miss This Home! MLS#8540430. Virtual Properties Realty.Com. Upstairs Finds 3 Very Generous Bedrooms & 1 Large Full Bath. Suwanee! A+ Schools! MLS#8538637. Century 21 Results. Deck Overlooks Private Backyard W/Fire Pit & Outbuilding. Top Gwinnett Schools! MLS#6510435. Coldwell Banker Residential Brokerage.